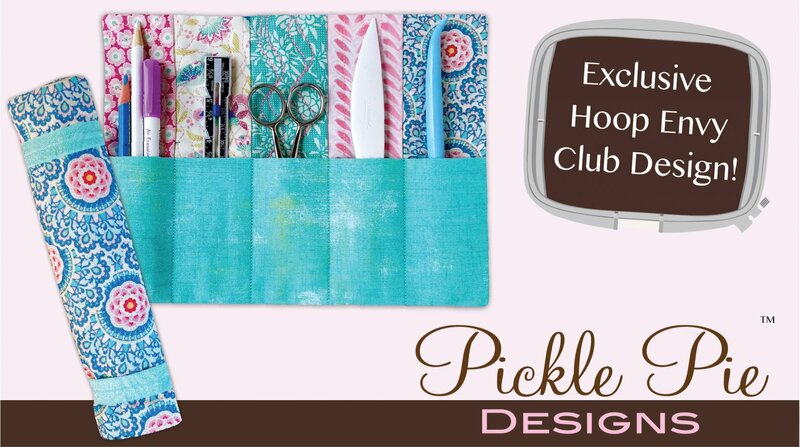 This month we are making the Roly Poly Organizer by Pickle Pie, Bring your largest hoop for your machine. The pattern will do as large, but the small uses a 5 x 7 hoop up to a large 9 x 14 hoop. You can use this for your sewing notions, a child's marker supplies or even a cosmetic organizer. There are so many uses! Be sure and call to register and tell us your largest hoop size so we can cut a kit if you want one.